Hellboy Miniatures Game and Competition. Anyone who know me or had read this in the past will know I am a fan of the Mantic Games‘ The Walking Dead miniatures game. So it fills me with glee to see Mantic turning their hand to another licence. In this case HELLBOY. With the reveal of their first miniature, the red handed demon monkey himself Mantic have also started a competition to win a Hellboy Miniature. Today we’re delighted to unveil the first miniature from the upcoming Hellboy game! Also, we’ve got a great community contest for you to get involved in. 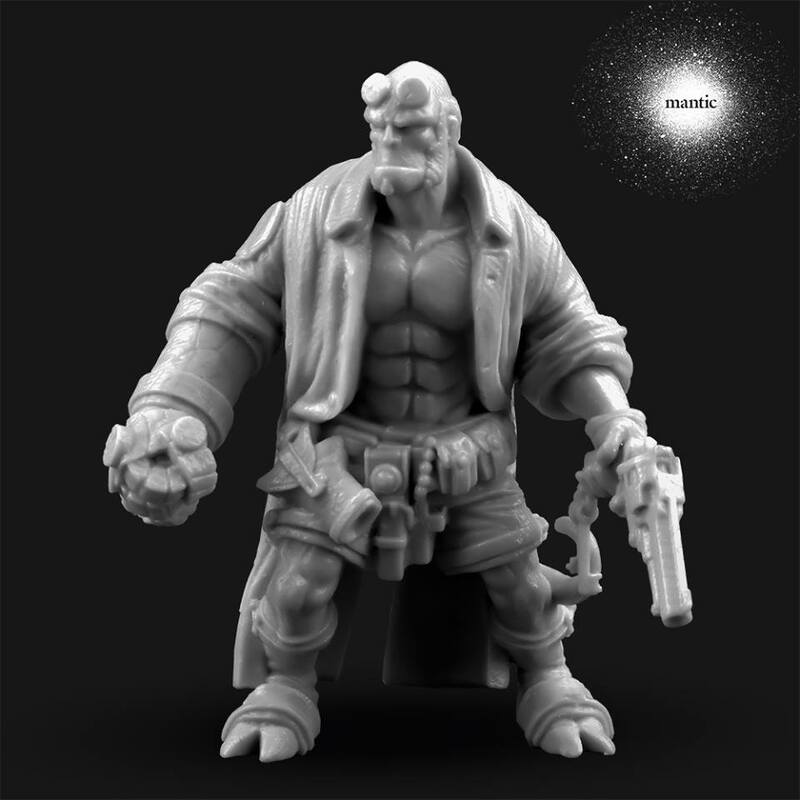 Would you like to paint one of the pre-production Hellboy miniatures? Just comment below with a pic of your best painted Mantic miniature (it has to be Mantic so we can share the results) by March 29th and we’ll choose our favourite to receive a resin Hellboy to paint (and keep) ahead of the Kickstarter launch. What are you waiting for? Get painting! Mantic Games is pleased to announce it has entered into a licensing partnership with Dark Horse Comics for the worldwide rights to produce a game set in Mike Mignola’s inspirational Hellboy comic book universe. 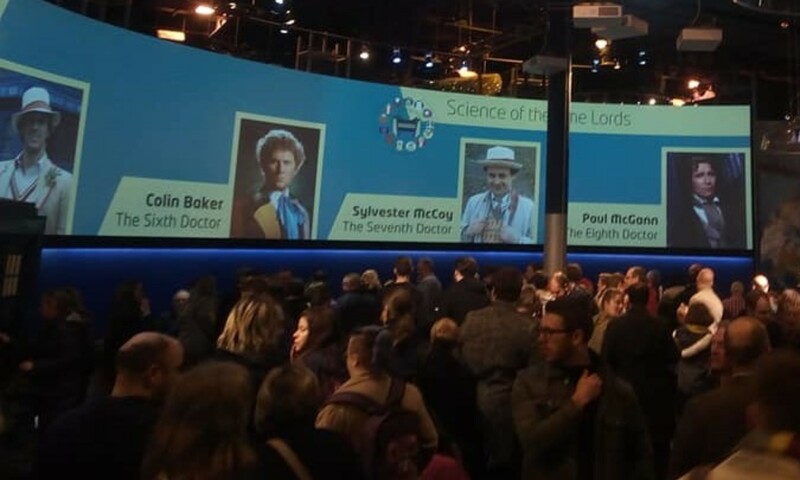 The project is due to hit Kickstarter in April 2018. (and we cannot wait). 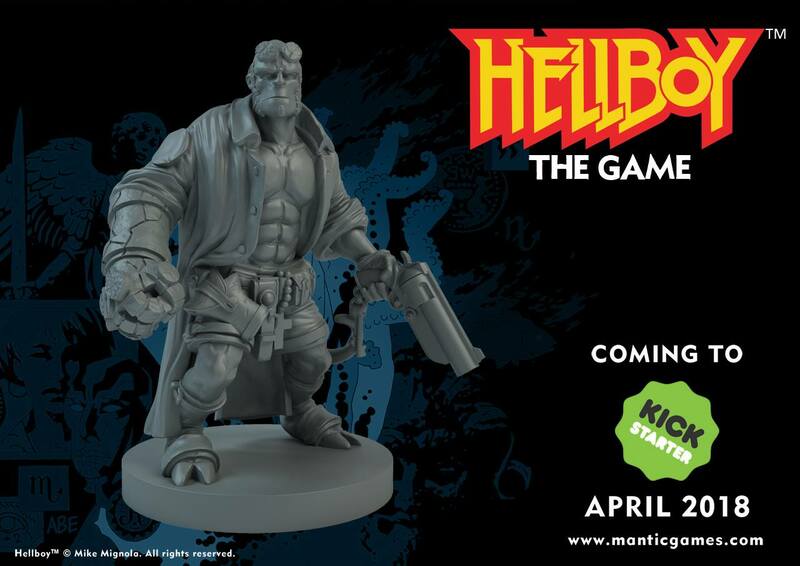 The Hellboy board game will be developed at Mantic by Mantic’s own (and formerly Games Workshop’s) James M. Hewitt. James’ previous gaming development credits include DreadBall, Necromunda 2017, Blood Bowl 2016, Warhammer Quest: Silver Tower and Horus Heresy: Betrayal at Calth. So he is no stranger to developing engaging games. — James M. Hewitt January 2018. Next PostNext Zombicide Goes Scifi!